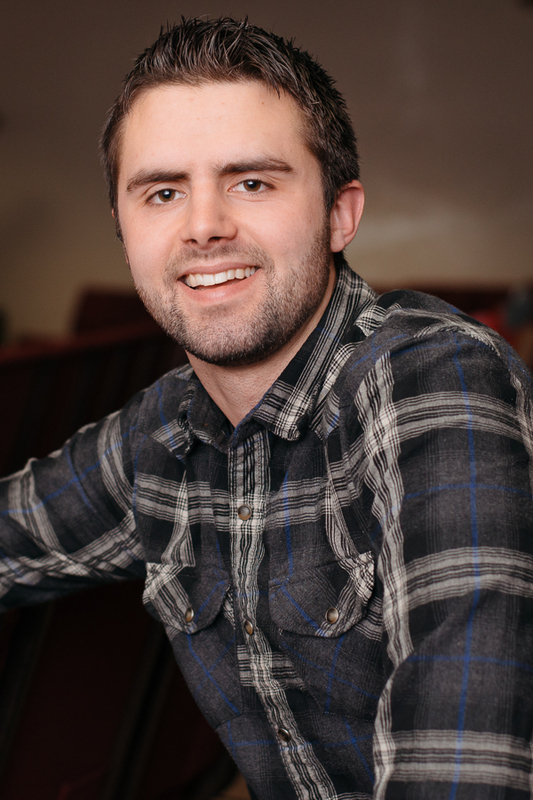 Rob is serving in various ministry roles at Miramichi Valley Church while training to be sent out as a church planter in the near future. Rob is a gifted and faithful evangelist. He is married to Chantelle and they are expecting twins. I was saved at the age of sixteen. I grew up in a christian family and first made a profession of faith when I was five. I remember hearing about Hell, and I didn't want to go there. As a result, I prayed the sinner's prayer. That is all I remember about my first profession of faith. The next several years of my life, before I actually got saved, I didn't think much about God or meeting Him on Judgment Day. God was not a reality in my life. Even though there was a form of godliness in my life there was no power. I lived my life for myself, and I was not concerned about Jesus or about people dying and going to Hell. I just lived to have fun and hang out with friends. It was in the summer of 2006 when God intervened in my life. That summer, I went to work at a Bible camp in Quebec, and it was there that I genuinely came to saving faith. It was during the second week of camp and I was one of the counsellors. It was actually my co-counsellor who led me to the Lord. God used him to open my eyes and to awaken me. While the other staff members were all sleeping he would wake up early in the morning to pray and read God's Word, and it really made me question myself because I barely ever read the Scriptures or spent time alone in prayer. What also impacted me was how he would preach to the campers during ‘cabin time’. I worked at a few camps before and knew that it was hard to get the children's attention; but he had their complete attention (including mine) as he preached the Gospel of Jesus Christ. One day during that week he came up to me and asked if I would like to learn how to share my faith and he put me in a position that no preacher had ever put me in before – eternity! He asked me if I died and stood before God in judgment, would I be seen as innocent or guilty? I said that I thought I would be innocent. He then asked if I considered myself to be a good person. I said yes. Then he asked me if I were to be judged based on God’s commandments would I still be a good person in His sight? I had never really thought about that before. So my co-counsellor proceeded to go through some of the ten commandments with me. He asked me if I ever told a lie, and if I had ever stolen something. At that moment, an amazing thing happened. The Holy Spirit brought to my memory a time when I was about four years old and I stole a toy car from a friend and that was still on my conscience after all that time! The more commandments we went through, the more convicted and guilty I felt because I realized that God could see my heart. I confessed that I had indeed broken all of God’s commandments. So based on that, I was asked if I would I be innocent or guilty. It was clear to me that I would be guilty. When asked if I would go to Heaven or Hell, I looked at the ground and acknowledged that I would go to Hell. There was a moment of silence, and then he shared the Gospel of Jesus Christ and what He actually did for me so that I could be forgiven of my sins. After he explained the Gospel to me the bell rang and he left to get our campers. Before I did anything else, I went to the cabin by myself and got down on my knees by my bed and confessed to God in prayer. I walked out of that cabin a new man! That is when I truly got saved, but at first I didn't realize that what happened to me was conversion. I was confused because people were telling me that I only rededicated my life to Christ, or now was ‘on fire’, but all I knew is that God did something in my life and now I really wanted to live for him. I didn't come to a full understanding of what happened to me until a couple months later when I was back at home. I found a message on the internet called "The Shocking Youth Message”. After I heard that sermon I was so broken that I wept profusely because I realized that I had just been saved that week of Bible camp and any time before that, if I had died, I would have said to God, "Lord, Lord, did I not pray in your name, and go to church in your name, and work at camps in your name?”. God would have said "I never knew you, depart from me you worker of lawlessness.” I wept because I knew that was true, and at the same time I rejoiced that God had saved me.